You either fight for something, or you don't. You either stand on principle, or you don't. Switching beliefs and principles in order to get something, is expedience. And believe me, I know what can happen when someone switches what they insisted was principle for expedience. So that sort of thing bothers me. Big time. 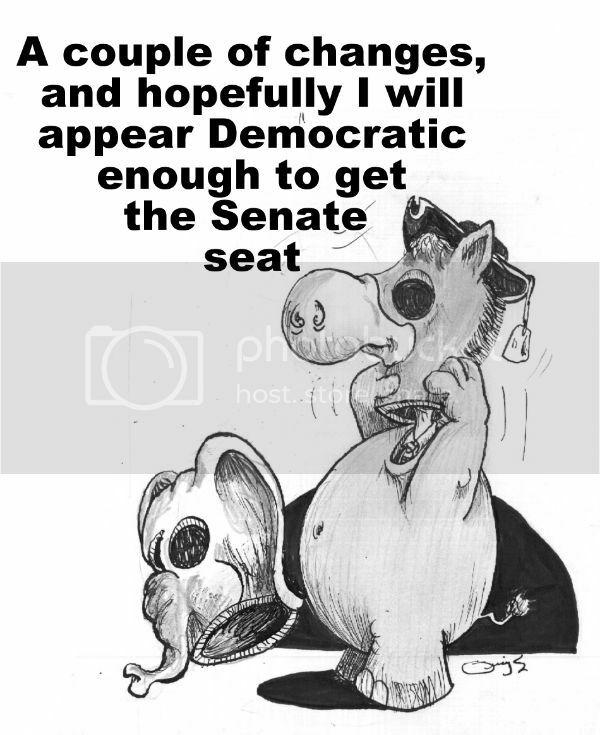 Now after what we went through to get Elizabeth Warren into the senate, the worst thing to do would be to send someone else to Washington who will potentially cancel out her vote so it would be like Massachusetts has no senator. Stephen Lynch has long been a conservative member of Massachusetts’ Congressional delegation, but as Lynch claims, “Calling me the least liberal member from Massachusetts is like calling me the slowest Kenyan in the Boston Marathon”. But there are no degrees of pregnancy. While he was staunchly conservative, his views, at least, were clear so we knew where he stood, whether or not we agreed with him. But that seems to have changed when he decided to run for Kerry's senate seat. Then things became rather fluid. As an anti-choice legislator he voted for restrictions on reproductive rights, and opposed the creation of “buffer zones”. These are those areas around the entrance of medical clinics that allow a safe space between women entering clinics and those protesting them. These spaces were to separate the women from those who yelled at them. While receiving the support of the Massachusetts Citizens for Life, our state’s most prominent anti-choice organization, he received a 0% rating from NARAL Pro-Choice America. You might not agree with him but until the Kerry seat opened, at least you knew where he stood. When Lynch announced his candidacy for U.S. Senate on January 31, he said he would “absolutely” vote to confirm U.S. Supreme Court nominees who oppose abortion rights. But then the following weekend he, after apparently being reminded that most of the citizens of Massachusetts were not necessarily all that conservative, softened his stance. He now claims he had "misheard" a question at a press conference that had been asked and to which he responded by supporting his own pro-choice stance. He didn't "contradict" or change his stance, he had simply misunderstood the question that had resulted in his "appearing" to be doing that. While Democrats were calling for an end to the Iraq War, Lynch was voting to continue it. Long after most Democrats were calling for the expiration of the Patriot Act, Lynch was voting to re-authorize it. Lynch opposed efforts to curb gun violence until Newtown, and then he was suddenly in favor of President Obama's push for stricter gun control. He did, after all, vote against an assault weapons ban in Massachusetts, calling it “feel-good legislation”.While most Democrats supported the improving of healthcare, he was a No vote and an obstacle to positive reforms. He was an obstacle to the coverage of “pre-existing conditions”. He has been “hostile” to Gay rights for much of his political career, so members of the GLBT community, and supporters of equality, should remain skeptical about his advocacy on their behalf. For the whole of his political career, Lynch has been a pro-life, anti-choice legislator until he entered the Democratic primary. Now he is downplaying that. He seems to be a little too wiling to modify his stances now that he wants the senate seat. For a person who was staunch on his stands when it came to the Iraq war, the Patriot Act, his opposition to the Massachusetts assault weapons ban, and healthcare reform, a person has to wonder if he will suddenly modify these if it means he could win the seat, and if he will swing back if he gets it.